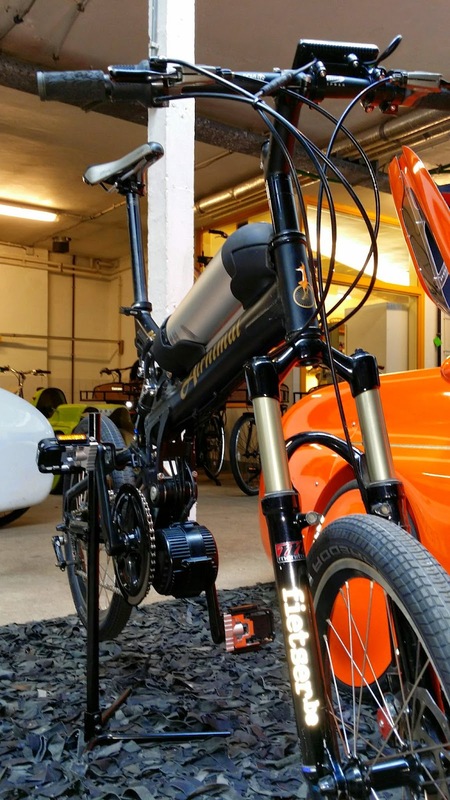 fietser.be: Urban and long distance commuting. Urban and long distance commuting. We milled out the bottle battery to fit in behind the head tube. Good road tires made a big difference at 35 km/h. It's a small bike but I did some test riding. It gets closer to the definition of light urban mobility: electric (and fast! ), enormous suspension on top of room for good balloon tires, and still light and nimble to ride and fold. Looks cool too IMHO. 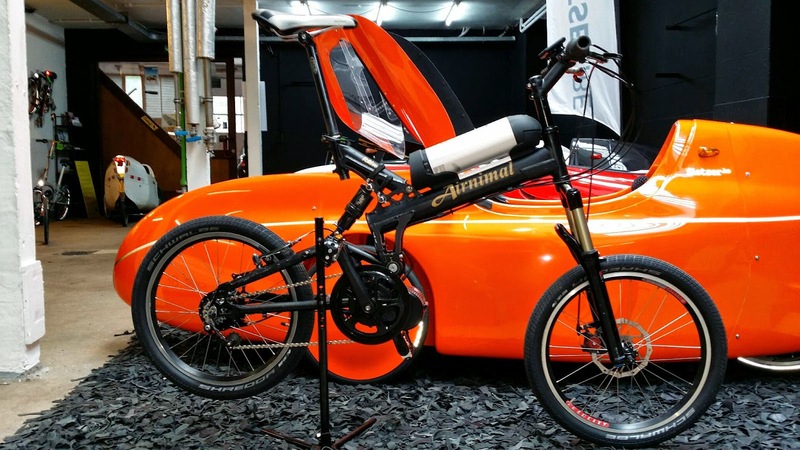 The orange WAW219 in the background has the same transmission setup (Bafang + Rohloff), but for exactly the opposite use: long distance, year round ecommuting (80 km roundtrip). Price: same as a set of alloy wheels on an equivalent fossil car... I know, we're mad. More about this ultimate commuting monster later on.